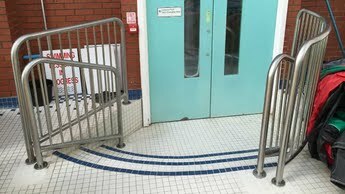 Hobbs & Porter manufacture bespoke stainless steel internal or external handrails for use throughout the UK. Stainless steel tubular 304 grade internal staircase handrail and balustrades. Interior of a swimming pool. 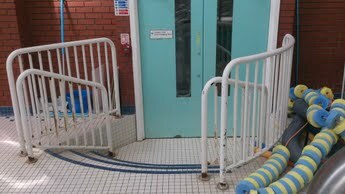 The handrail became dangerously corroded as chlorine had eaten away at the painted mild steel handrails. 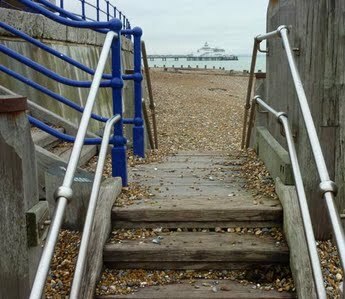 Stainless steel 316 grade tubular steel marine grade handrail situated on the south coast of England. 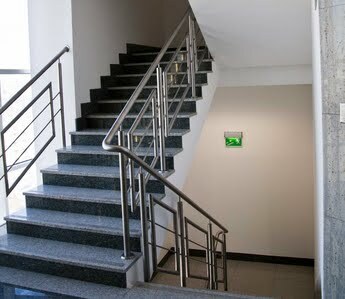 Replacement 316 marine grade steel exterior handrail, long lasting solution as it is chlorine resistant.